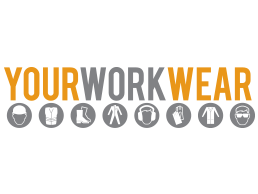 These terms & conditions relate to all orders placed on James Anthony Workwear Ltd, trading as Yourworkwear.co.uk, Unit 2-4 Chainbridge Road, Tundry Way, Blaydon, Newcastle upon Tyne, NE21 5SJ, United Kingdom (we, us, the company etc) by the customer (you). 4.4 You must notify us within 3 days of the advised delivery date if you do not receive any of the goods. 4.5 Claims for damaged or short delivered goods will not be accepted unless notified on the delivery note. 9.1 Where a guarantee is given that exceeds your entitlement under English Law such guarantees are offered by the product manufacturer and not James Anthony Workwear Ltd. We will assist you in pursuing any claim you have under a manufacturers guarantee. 10.1 The information on this site is copyright of James Anthony Workwear Ltd You may copy the information for the sole purpose of ordering from us. Any other use of this site and its contents is prohibited without our written agreement.